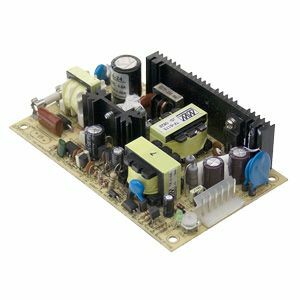 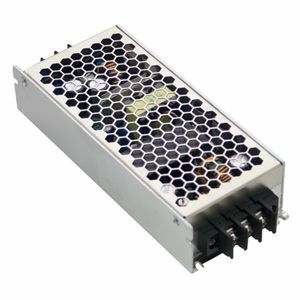 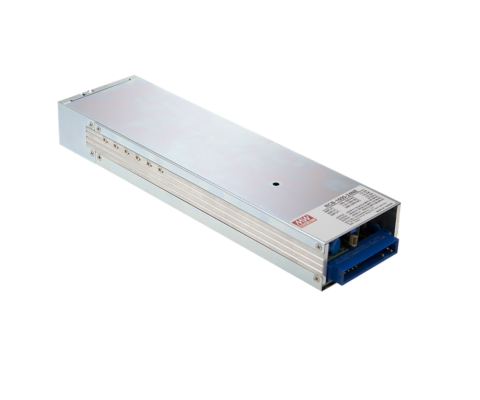 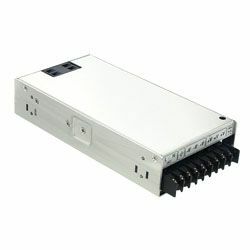 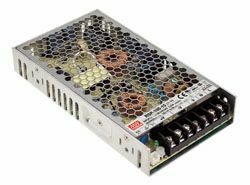 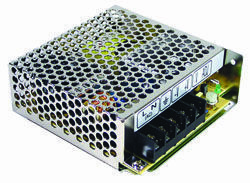 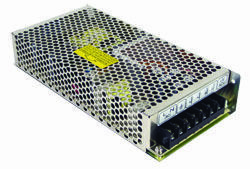 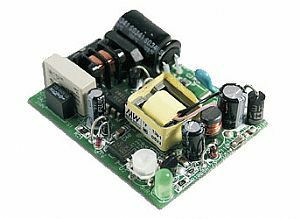 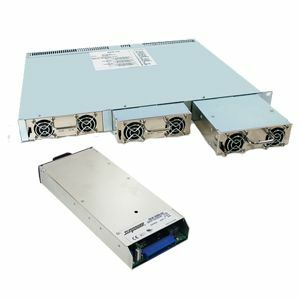 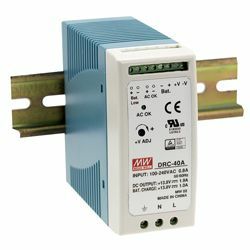 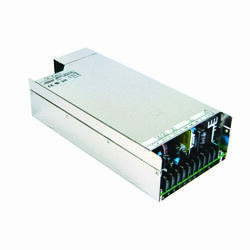 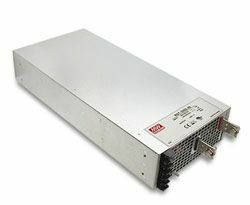 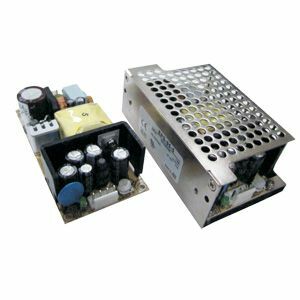 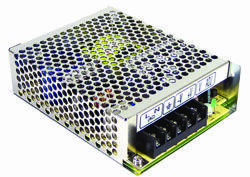 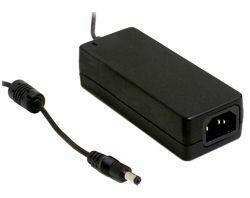 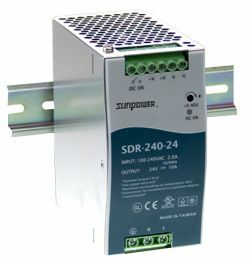 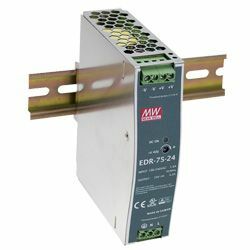 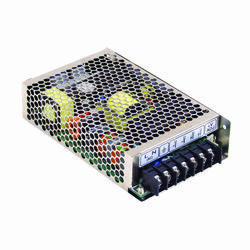 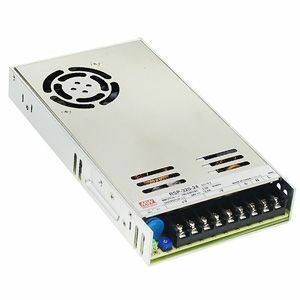 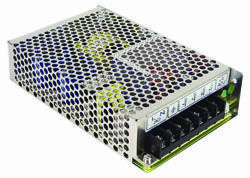 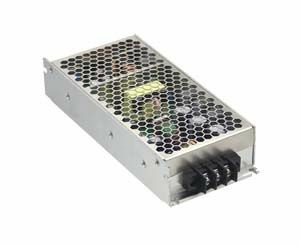 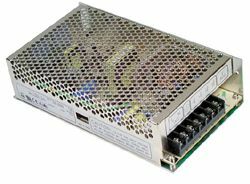 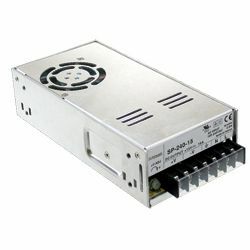 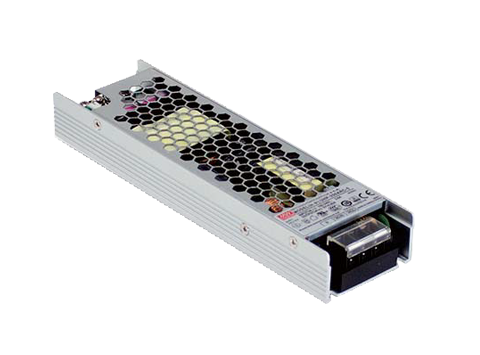 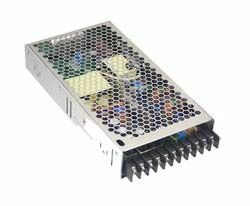 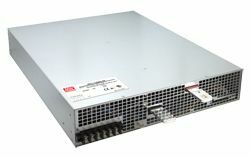 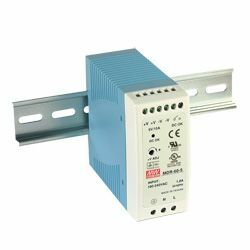 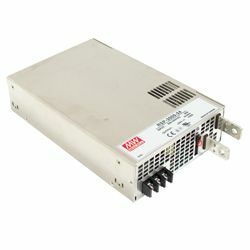 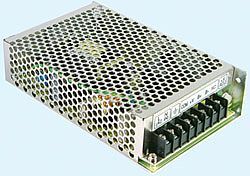 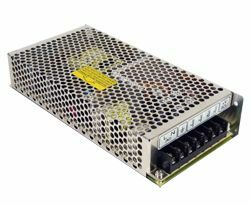 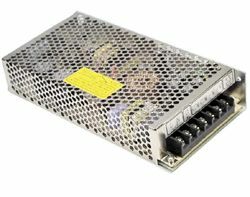 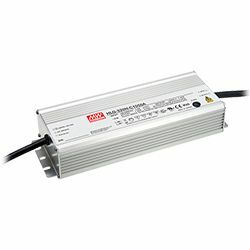 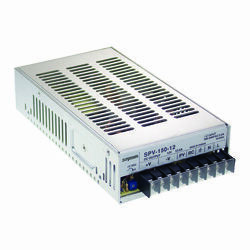 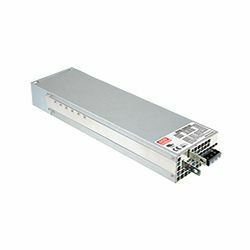 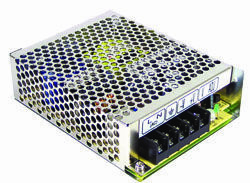 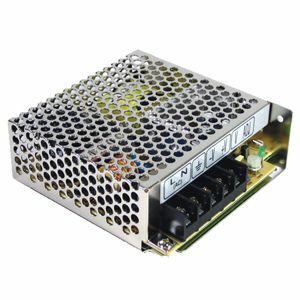 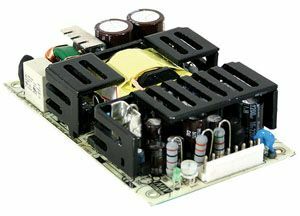 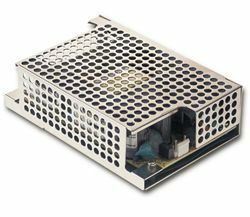 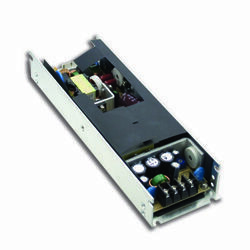 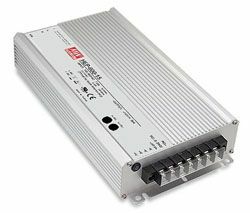 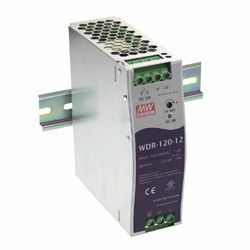 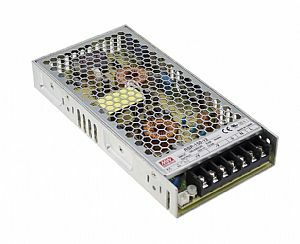 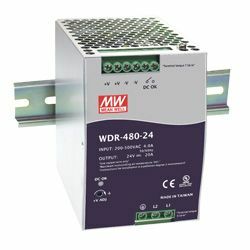 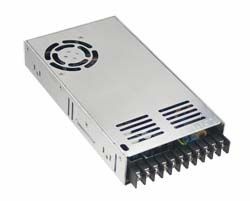 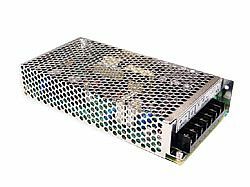 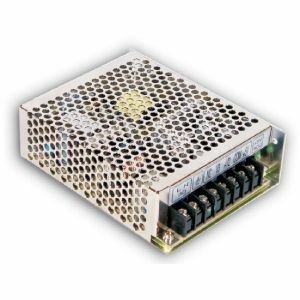 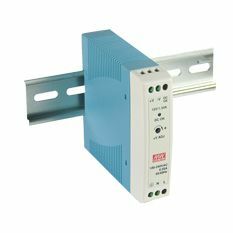 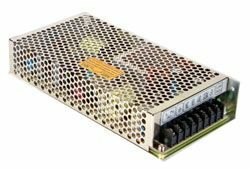 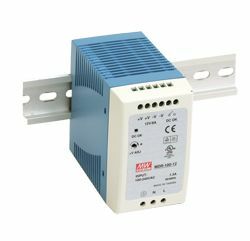 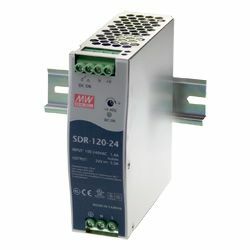 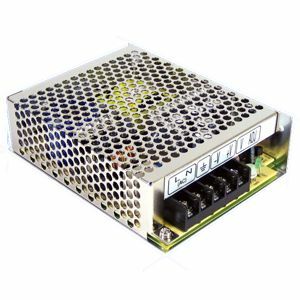 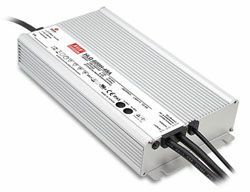 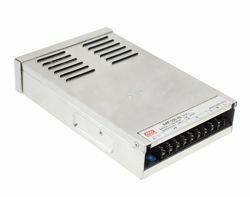 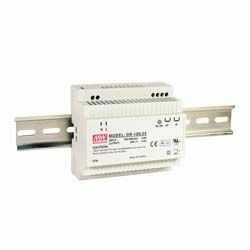 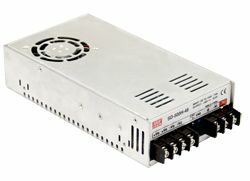 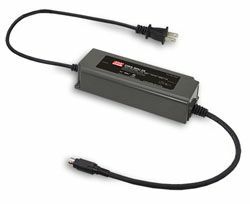 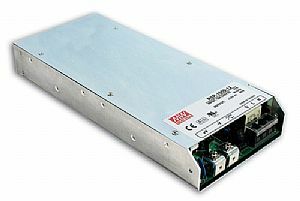 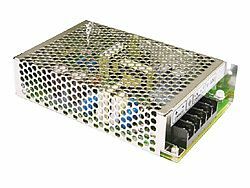 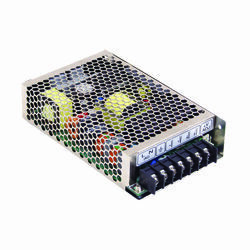 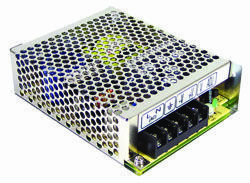 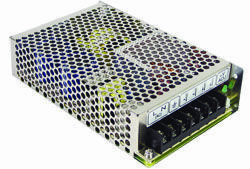 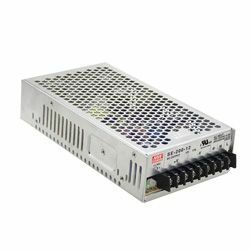 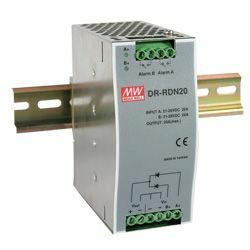 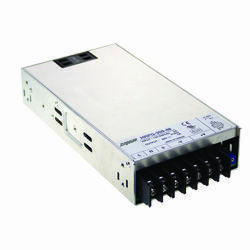 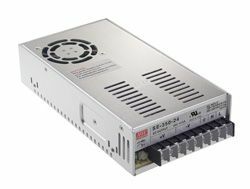 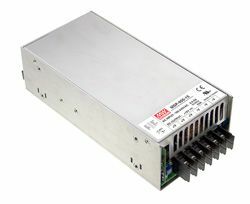 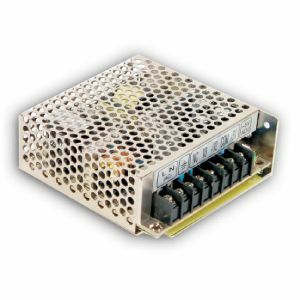 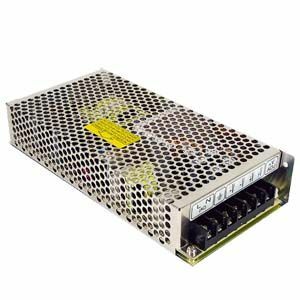 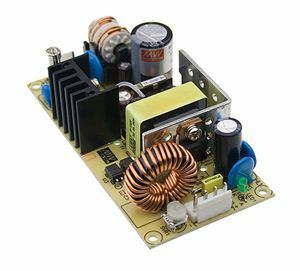 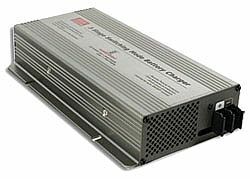 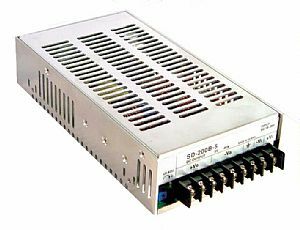 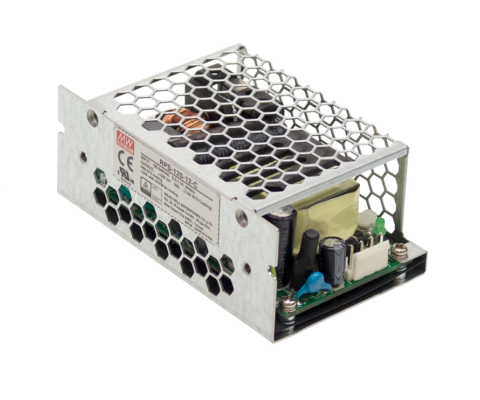 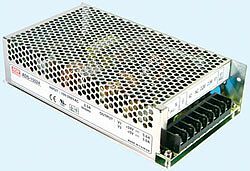 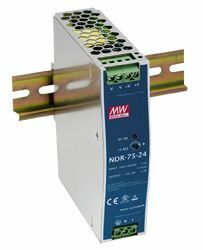 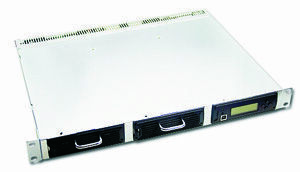 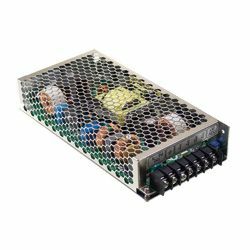 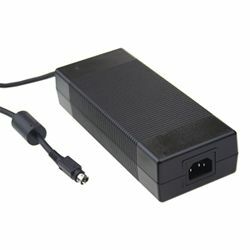 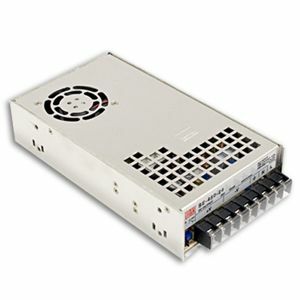 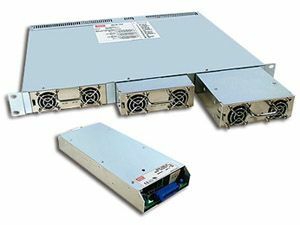 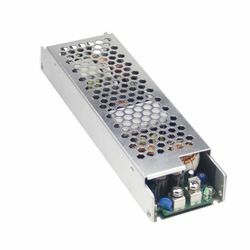 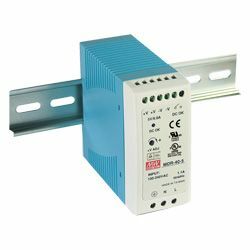 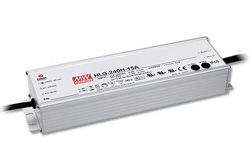 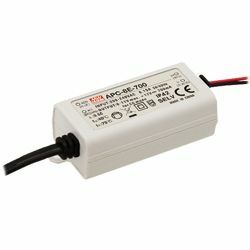 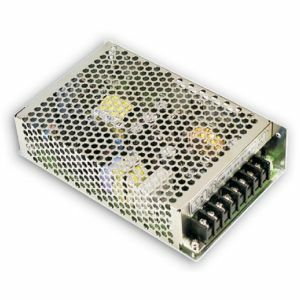 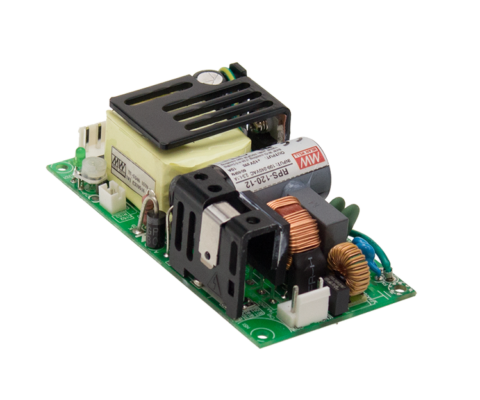 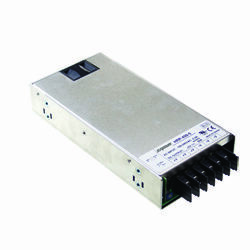 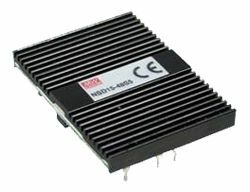 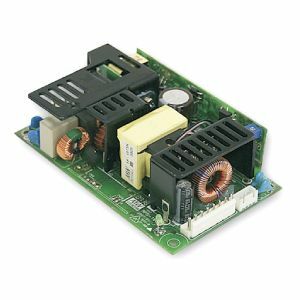 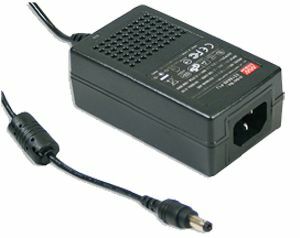 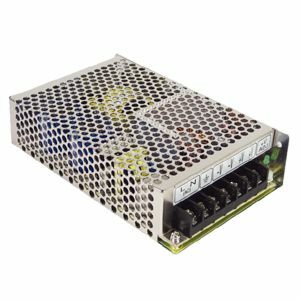 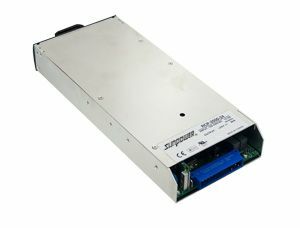 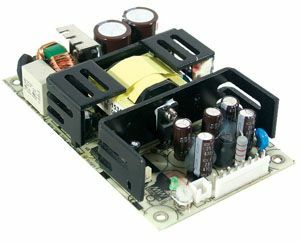 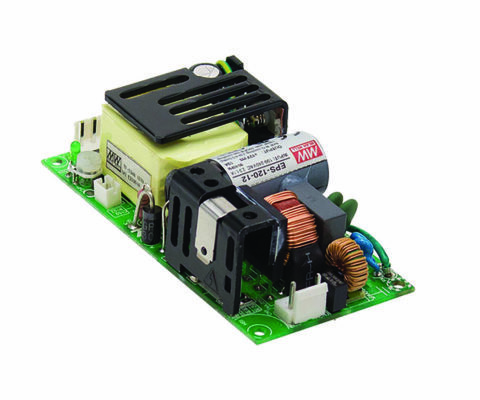 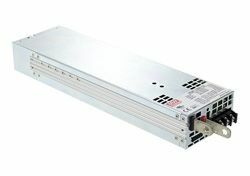 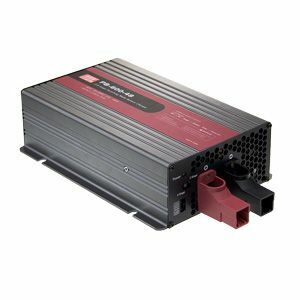 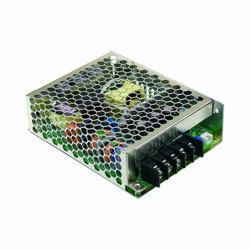 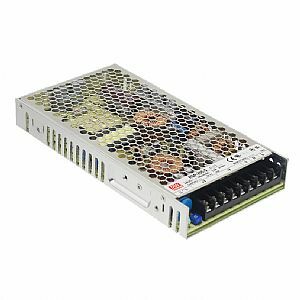 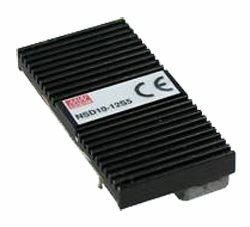 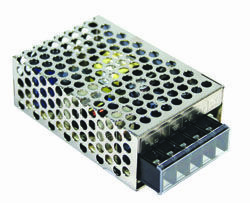 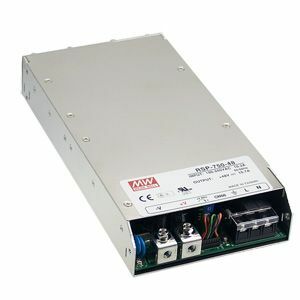 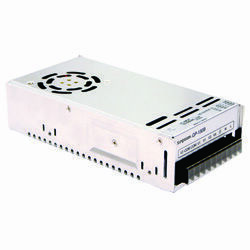 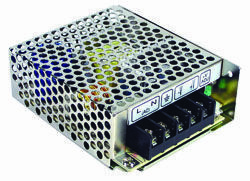 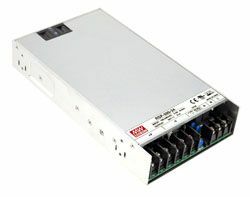 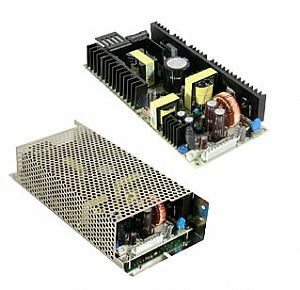 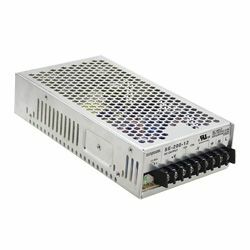 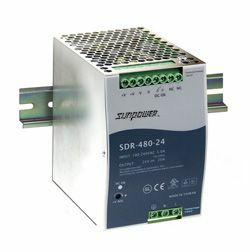 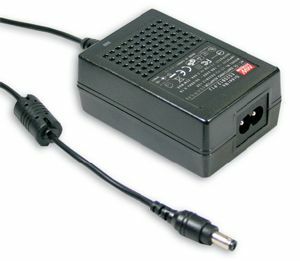 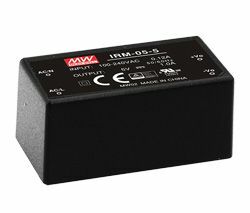 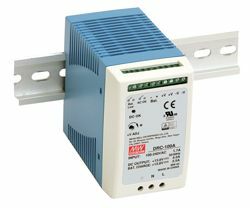 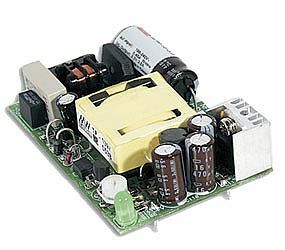 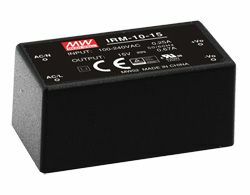 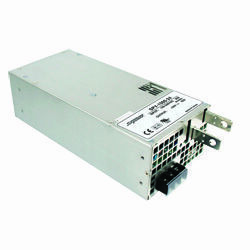 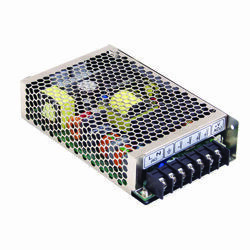 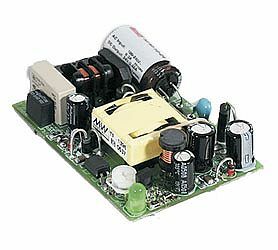 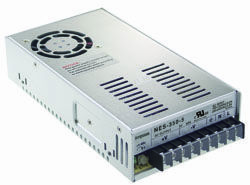 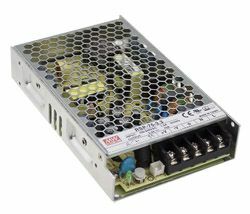 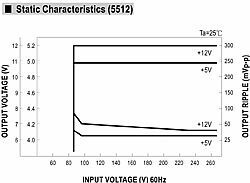 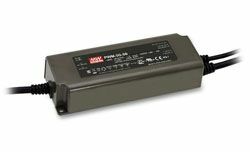 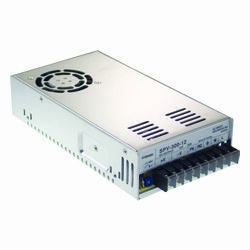 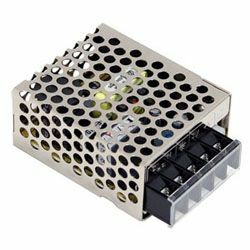 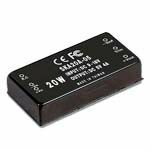 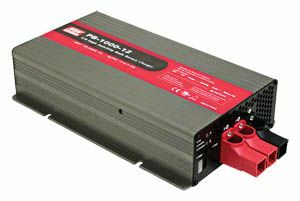 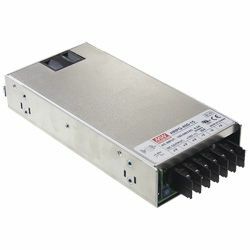 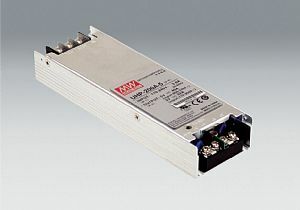 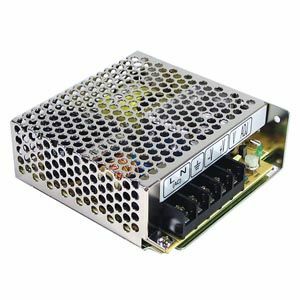 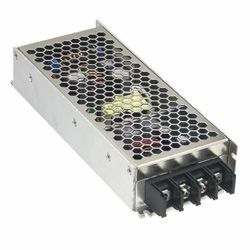 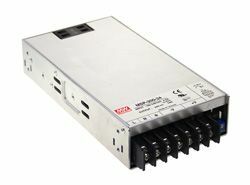 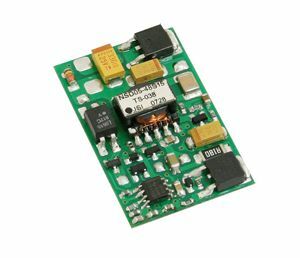 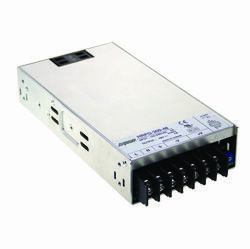 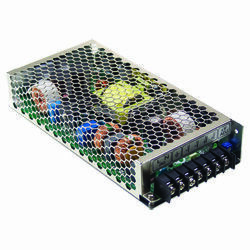 The HRP-100 series is a higly efficient (up to 90%) single output enclosed power supply. 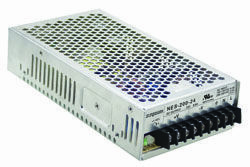 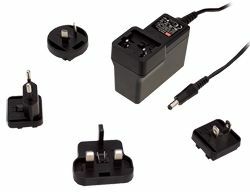 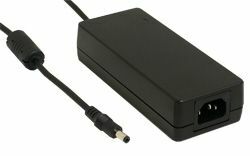 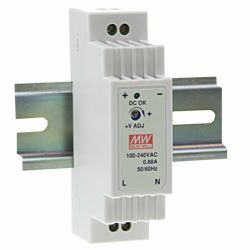 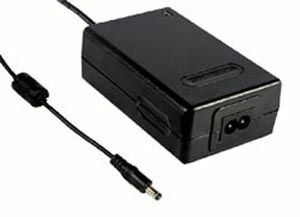 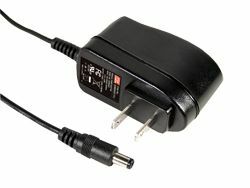 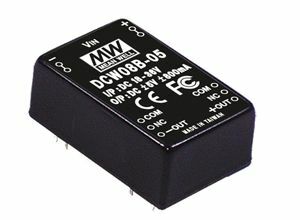 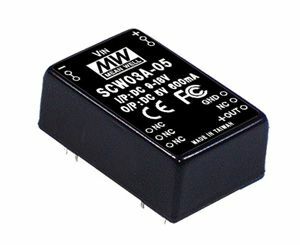 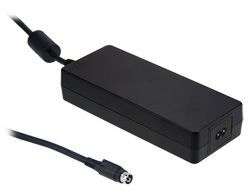 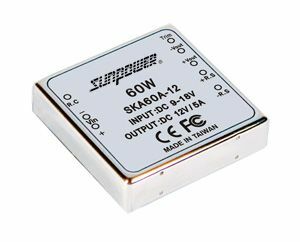 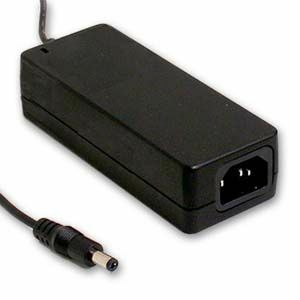 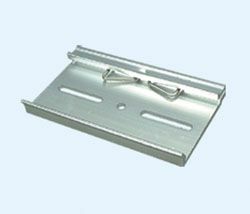 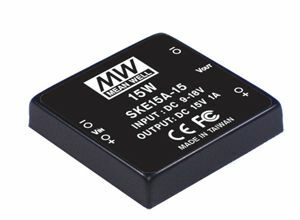 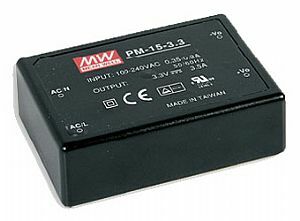 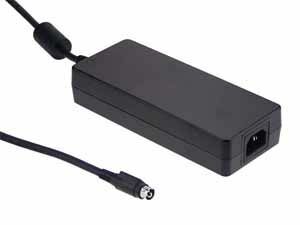 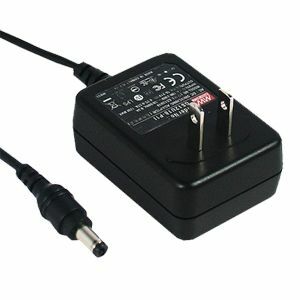 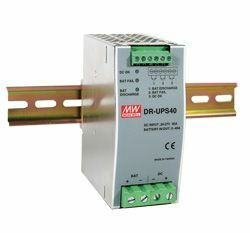 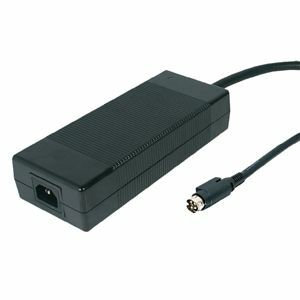 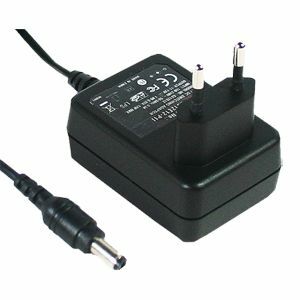 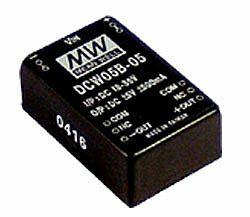 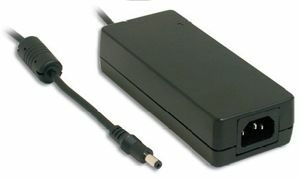 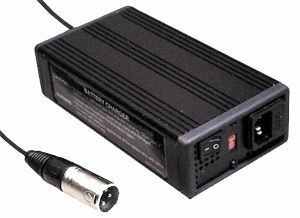 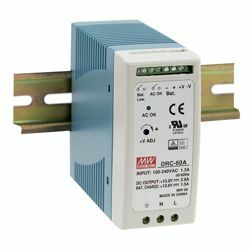 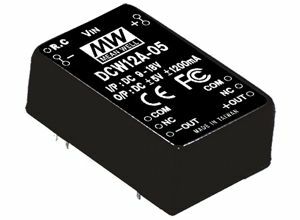 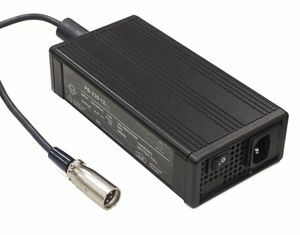 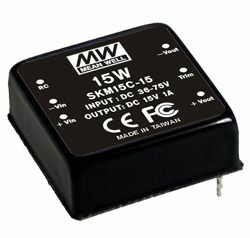 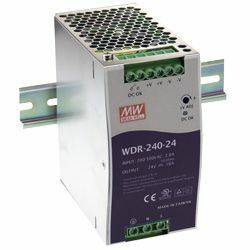 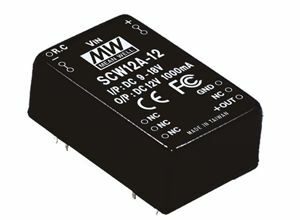 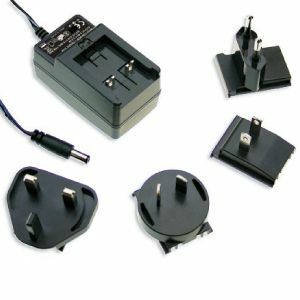 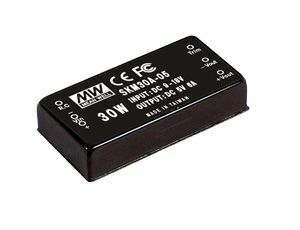 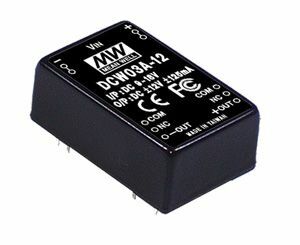 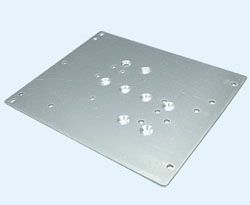 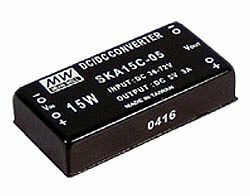 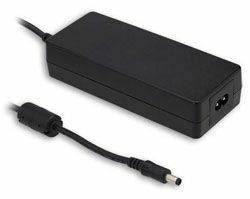 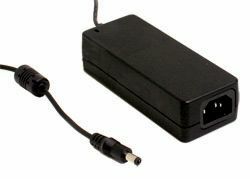 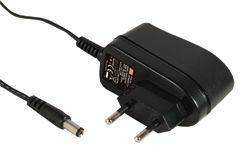 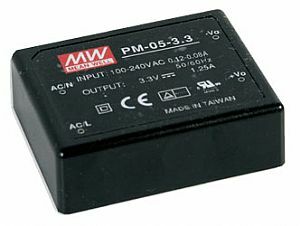 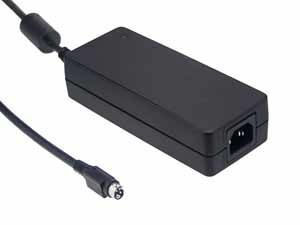 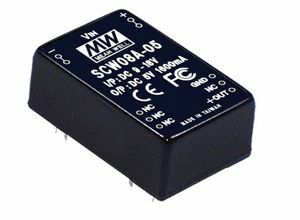 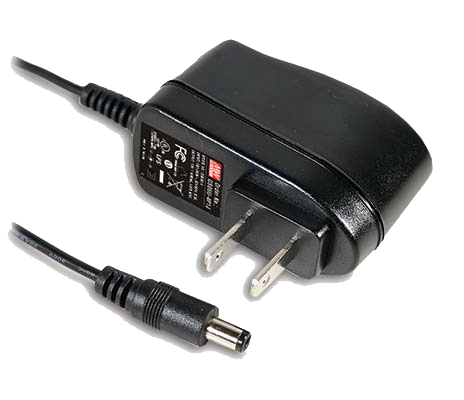 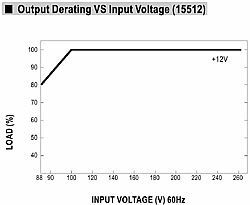 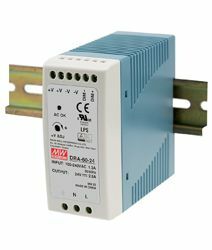 Equipped with built-in active PFC function, including protections including short circuit, overload and over voltage. 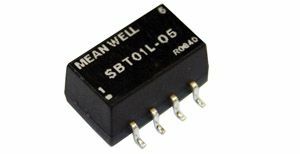 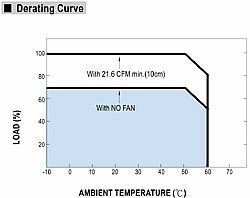 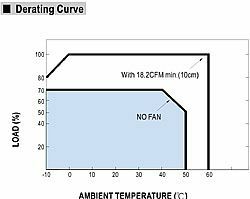 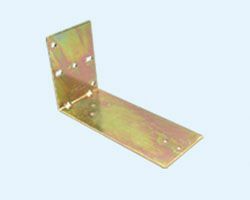 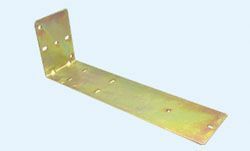 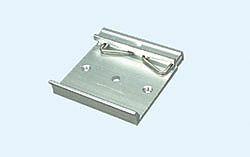 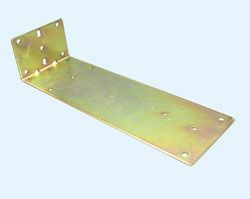 With a low 1U profile of 38mm and cooling by free air convection allowing an operating temperature of -40~+60°C.